If there is a problem with one of your Viking units, you can count on our appliance repair service company. We are here to remedy all issues as soon as possible. Be it a warm fridge, cold oven or leaky dishwasher, we can help. 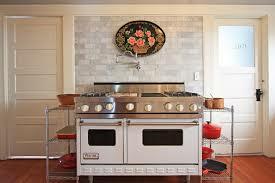 Each technician we hire is backed with years of experience in V iking appliance repair. With the help of proper diagnostic equipment, the pro will identify the source of a failure in no time. Whatever the case is, you will get the most efficient solution for your needs. So don’t wait a single moment and call us right away. We can’t wait to assist you with your Viking home appliance repair in Vaughan, Ontario! Viking products are known for their reliability. However, you can’t prevent occasional issues from occurring. If you want to minimize the risk of major breakages, turn to Appliance Repair Vaughan. One of the local experts will arrive to inspect your equipment on an annual basis. With a wide experience in the field, the pro will easily identify and fix all minor problems before they lead to a serious breakdown. From dishwasher repair to range installation, our company is your one-stop shop for any service you may need. So don’t hesitate to share your concerns with us. We will do everything in our power to make your Viking appliances repair with us as hassle-free as possible!